Being able to bake your own bread is such a wonderful skill to have. And there really is nothing like the smell of freshly baked bread. 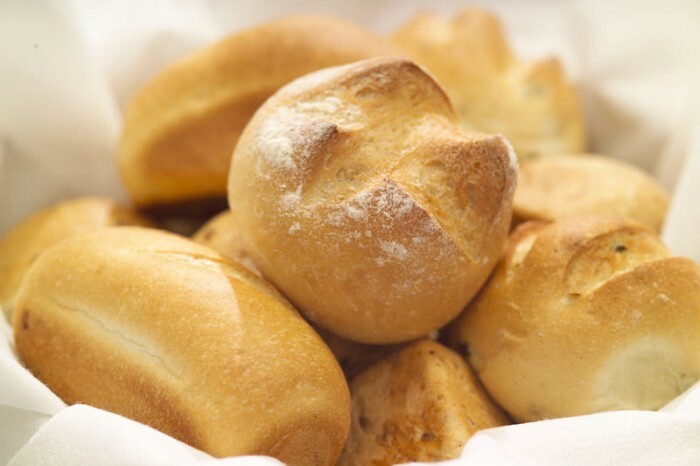 If you’re making this in cookery club you can always make up to the final rising stage and then send the unbaked rolls home with the children to bake at home. Just make sure you send home temperature and timings with them. Follow a recipe; follow food safety & hygiene rules; tidy away; mix to form a bread dough; knead; shape dough; use a jug to measure liquids; use balance/digital scales. Measuring jug, scales, baking tray, mixing bowl, wooden spoon. Preheat the oven to 220°C or gas mark 7. Line or grease the baking tray. Place the flours and salt into the mixing bowl. Make a well in the middle of the flour mixture and add the warm water. Mix to form a soft dough. Sprinkle flour on to a clean work surface and place the dough on the surface. Cover the rolls and leave to prove for 30 minutes in a warm place until they double in size. 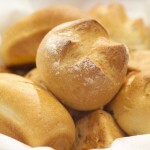 Bread is a good source of complex carbohydrates which gives us energy. 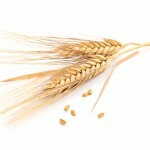 It is also a good source of fibre and B vitamins. In general, wholemeal and whole-grain flours/bread tend to be more nutritious than white, and they also contain more fibre.